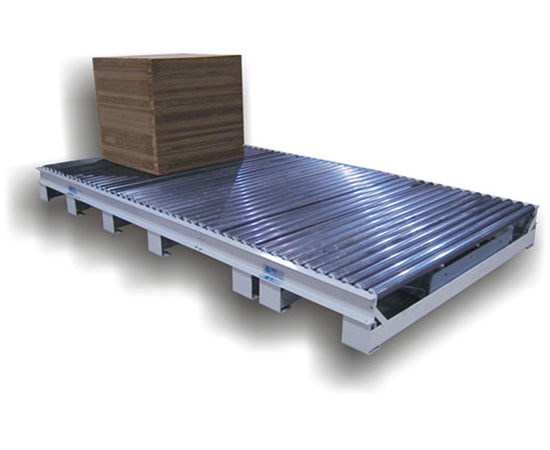 Systec's powered roller conveyor is provided as powered accumulating roller (PAR), or powered roller only (PRO) conveyor. Systec's PRO conveyor features a positive drive on the entire conveyor line and allows loads to be “indexed” as each load is added to the conveyor line. The indexing of loads will maintain a gap between the loads. Either line can be easily converted from PRO to PAR, or PAR to PRO. Fully accumulating drive, take-up, and intermediate sections, or midsections. Allows loads to be added to a conveyor line without disruption, or movement of loads already present on the line. With optional control features, loads can be added to the conveyor line until it is full, maximizing utilization of the entire conveyor line. Multiple areas of accumulation, or zones, for loads to move independently and stage down the conveyor line. Accumulation features allow a single, one horsepower drive, to run up to 70’ of conveyor.